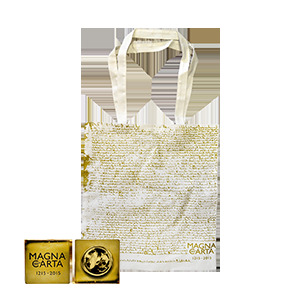 Pin and Bag combo for just £3. 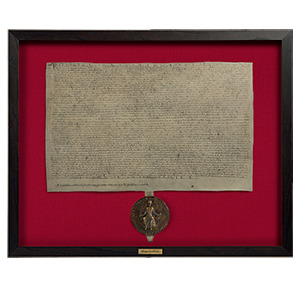 A highly detailed facsilile of the Magna Carta. 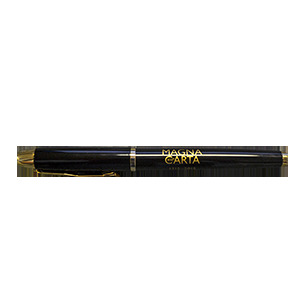 Black Parker Pen with gold Magna Carta branding. 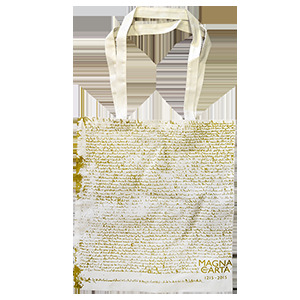 Natural cotton bag with gold script effect. 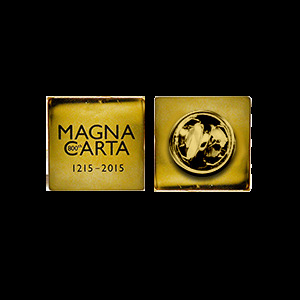 Shiny gold metal lapel pin with black laquer branding. 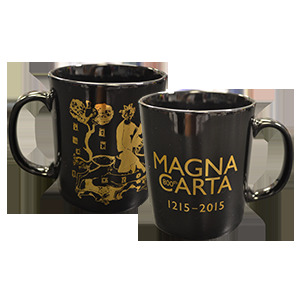 Chunky black mug with gold foil branding & King John imagery. 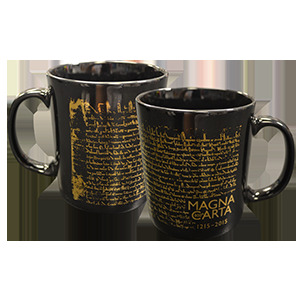 Chunky black mug with gold foil script effect. 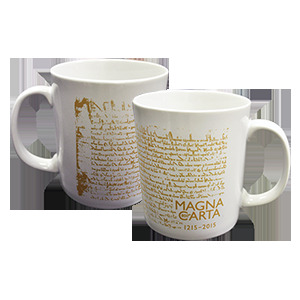 Chunky white mug with matt gold script effect. 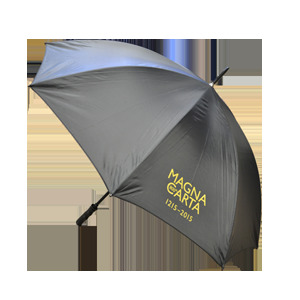 Black Umbrella with gold print branding. 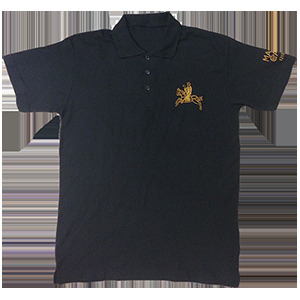 Black cotton polo top weatshirt with gold embroidery.